Can't believe it is already end of April! 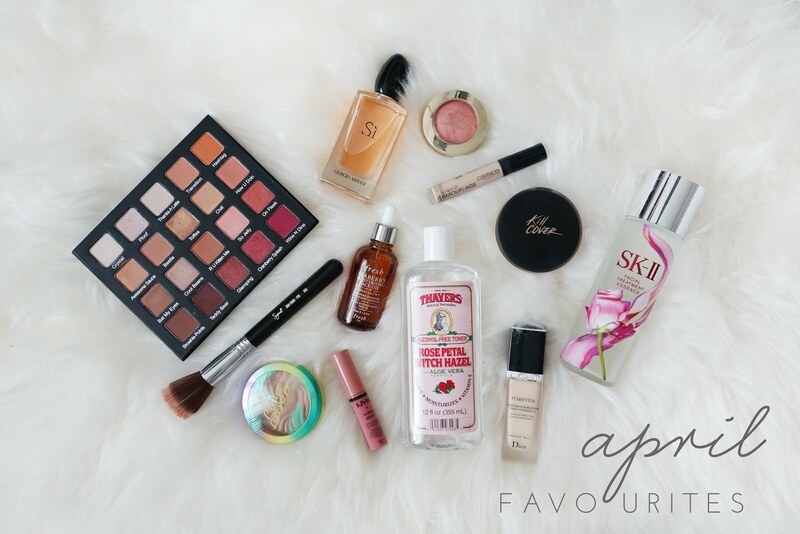 I missed the March favourites as I have been using pretty much the same old products and did not discover anything new. 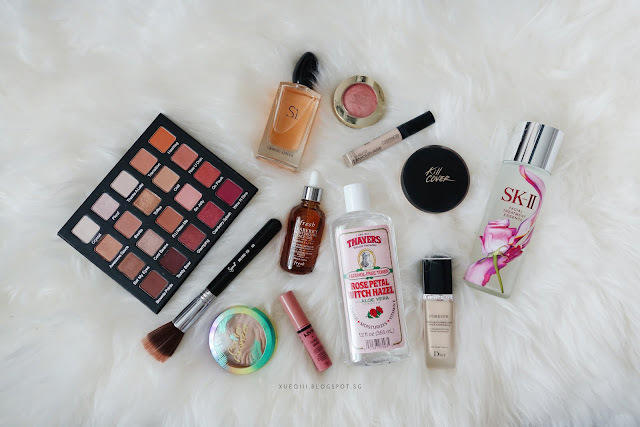 I have been shopping quite a bit recently and will be updating with a few hauls soon - Sephora, Wet n Wild and my major Korean Beauty Haul. Stay tuned! 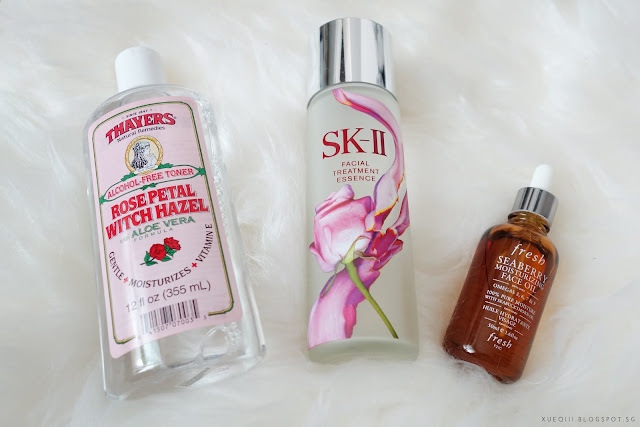 Thayers Rose Petal Witch Hazel Toner with Aloe Vera is a alcohol free toner that helps to moisturize the skin, as this is enriched with Vitamin E. This smells so nice like fresh roses and I have been replacing my regular toner with this every day and night. Not sure if this has helped my skin majorly but after replacing my toner, I do realize that my skin feels more plump and the dry patches aren't as problematic. This is not going to work miracles on your skin but adding this gentle toner into my routine definitely helped my skin heal better from my recent breakout. This is super affordable as well - S$14. SK2 Facial Treatment Essence is definitely a cult favourite. I have been religiously using this every night and I can tell the difference when I do and do not use this. 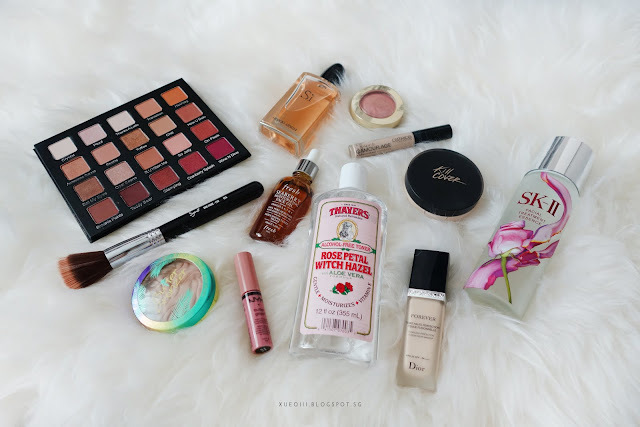 My skin feels so much smoother and makeup lies better on top. I highly recommend to add this into your skincare routine. I have been using the HERA Cell Essence in the day and SK2 at night. I would suggest getting the biggest bottle 215ml at S$233. I did get two back ups from Duty Free in a travel exclusive bundle at S$300++. Super worth it. Fresh Seaberry Moisturizing Face Oil is blended with seaberry, cranberry seed, camellia seed, grapeseed, and sweet almond oils. I basically apply it after essence or mix it in with my moisturizer. This has helped my skin recover too. I switch around with my Kiehl's Midnight Recovery Oil and I love both of them. This has 50ml worth of product and only costs S$84. 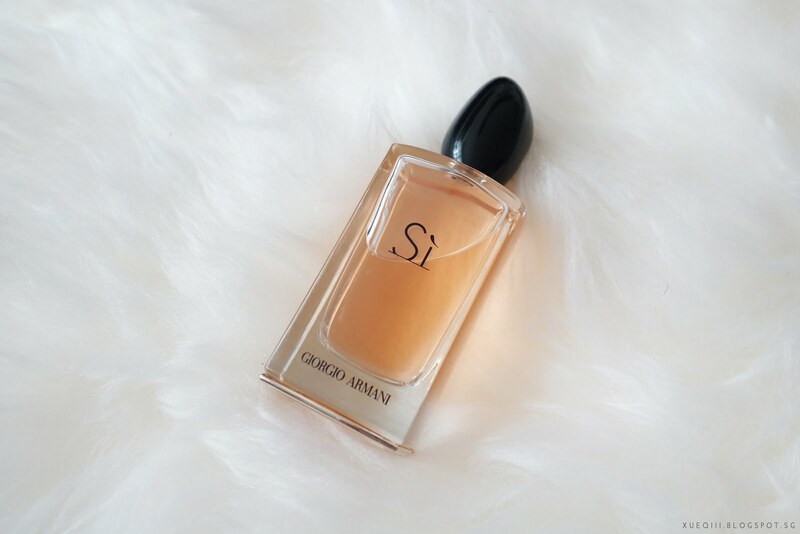 Giorgio Armani Si Perfume is my absolute favourite now and I love the scent. I am bad at describing it so I will just paste the notes here. According to their site, it has deep blackcurrant nectar, airy florals and musky blond wood. It is retailing for S$175 for the 100ml one. I suggest getting this at departmental stores as they always have bundles and free gifts. I got a body lotion of the same scent, a super nice makeup bag and a 10ml travel version of this that is refillable. Super worth it. I got a free roller ball perfume too that I gave my mum. Note that I do have combination skin. Basically my skin is dry on the outside and oily on the inside. HOW CONFUSING IS THAT. 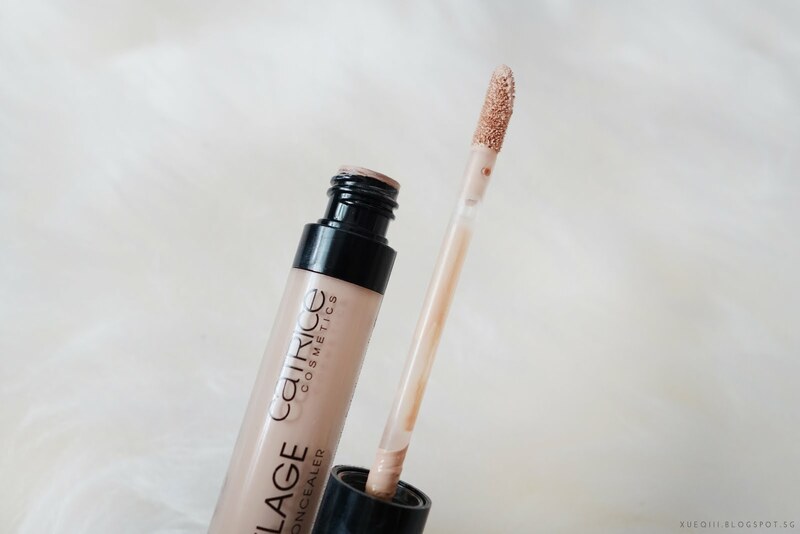 Catrice Liquid Camouflage High Coverage Concealer in 020 Light Beige is a very creamy and high coverage concealer. Initially I thought this might get cakey real fast but it blended out very well with either beauty blender or a brush. It has a strong floral scent but it does not linger so that's fine. I got this from Guardian for only S$6.90 if I'm not wrong. Super worth it. They have another 2 shades lighter than this. 050 is very pink and 010 might be too light for me. 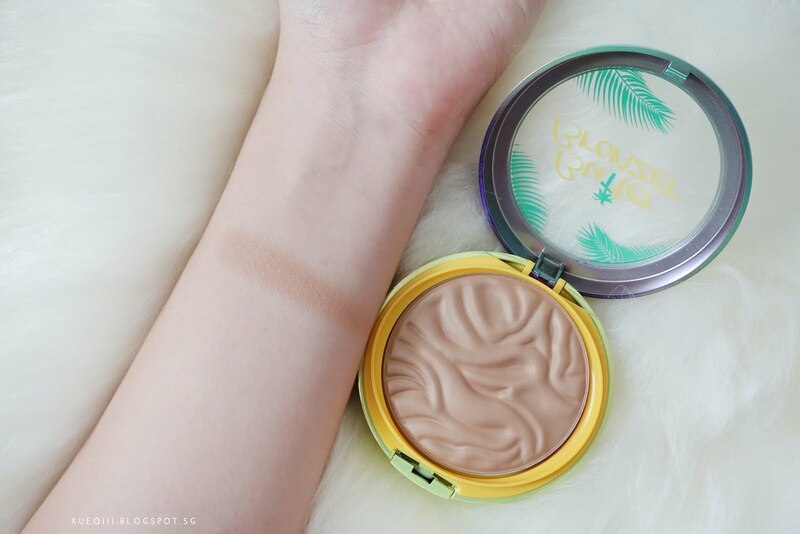 I typically go for the lighter shades in concealers, however despite 020 looking quite dark in the swatch below, it blends out fine and still brightens my under eyes. Guardian has testers so just swatch them for yourself and see. 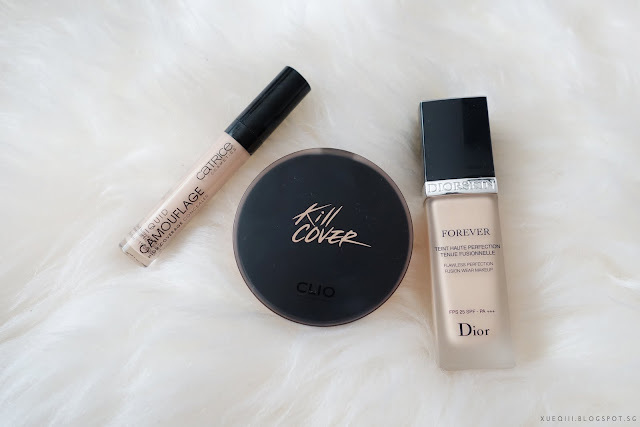 CLIO Kill Cover Liquid Founwear Cushion in 3 Linen is one of products I got in Korea. It came in a set with a liquid version and a primer. 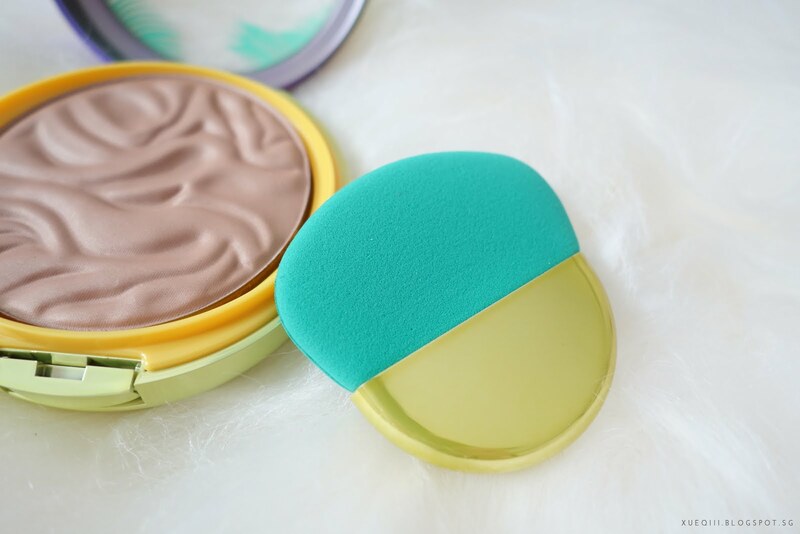 The coverage is really impressive and totally not cakey like some other cushions I have tried. This version is available in Watsons. Not sure the retailing price but it is not super cheap. I was torn between this and the hydrating version (CLIO Kill Cover Liquid Founwear Ampoule Cushion) in Korea. 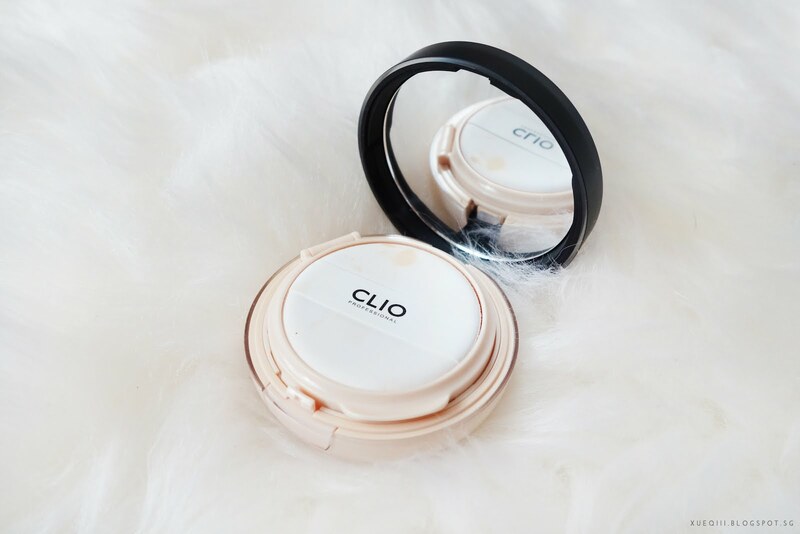 The hydrating one has a beige casing and they also have another new one for oily skin. I am glad I picked this version that is meant for normal/combination skin as it lasts so well through out the day and does not slip and slide around the face. My blush and bronzer stayed in place too. It did fade around my nose and mouth which is typical for me but the rest of the face looks really nice and hydrated. Did not cling onto any dry patches as well. I will be testing out more cushions and doing a review on all that I own. Highly highly recommend! 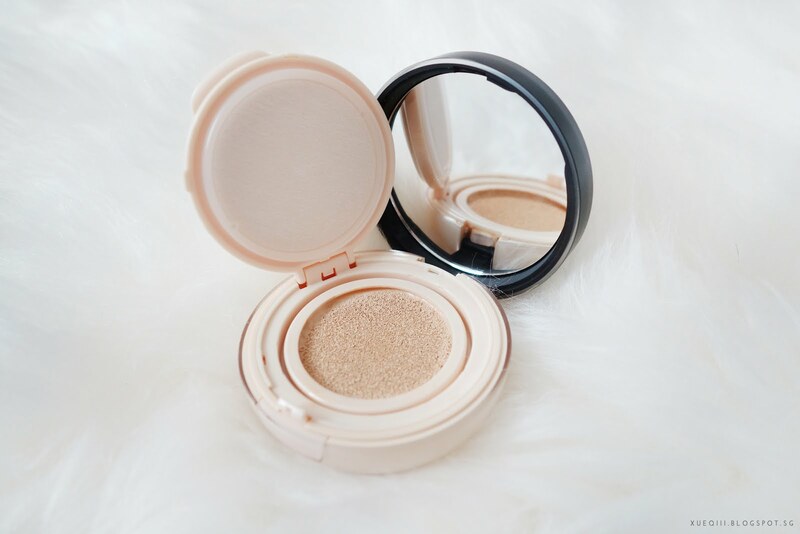 I love this as much as my HERA hydrating cushion, more maybe more. 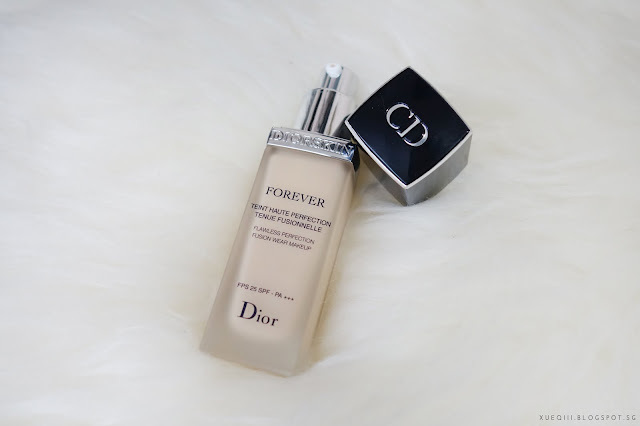 DIOR Forever Flawless Perfection Foundation in 011 is their second formulation of this foundation. Not the latest though, the newest one is called Forever Perfect or something and has a higher SPF. Singapore Sephora still do not carry the new one but maybe soon! 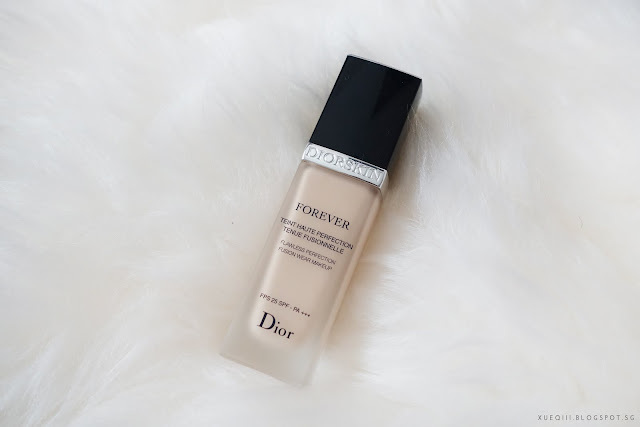 So far I have been enjoying this foundation a lot and it is not super full coverage but build-able. It comes with a pump and has a light scent that I quite enjoy. It has a semi matte satin finish. 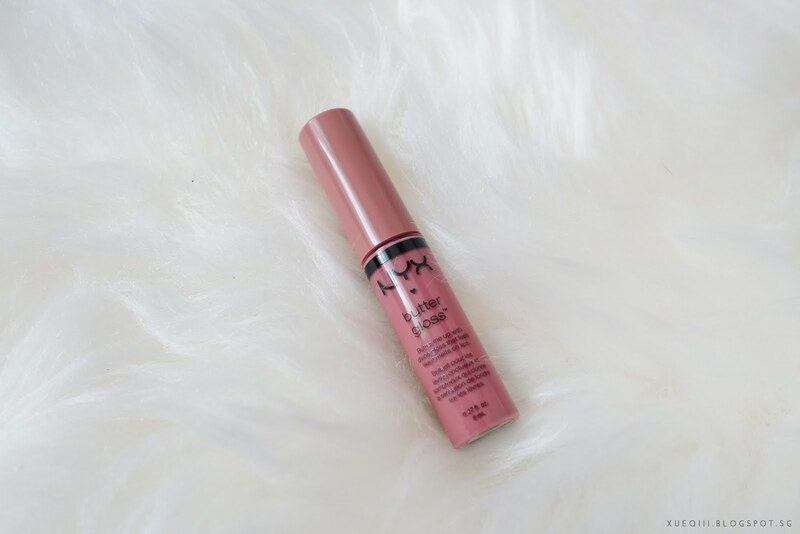 Not dewy or full on matte. It lasts well on the skin too and looks more on the natural side. 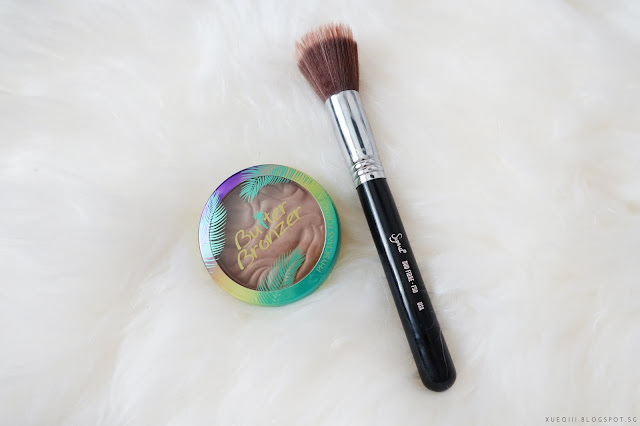 Physicians Formula Butter Bronzer in Bronzer is a soft and buttery neutral bronzer that smells like coconuts and a tropical drink like Pina Colada! The shade is beautiful and suits light to medium skin tones. 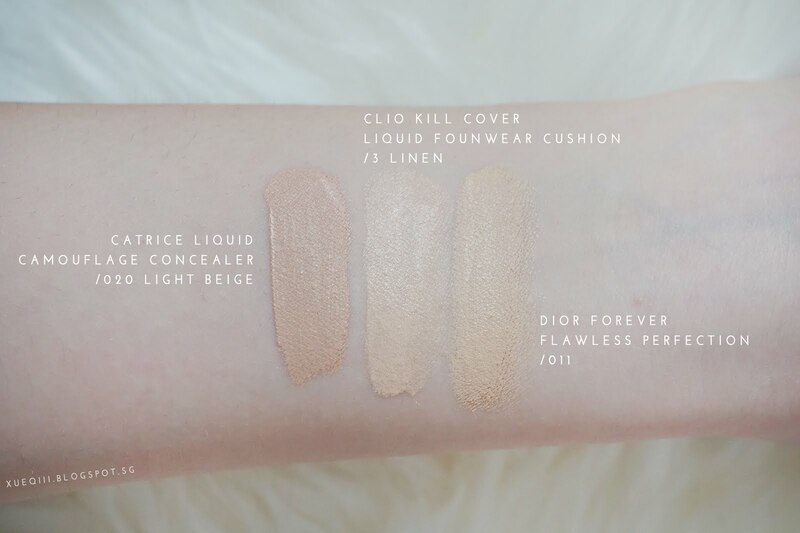 They do not have any darker shades and the one lighter is too light to show up unless you are super duper fair. Sigma F50 Duo Fibre is one of my favourite brushes. 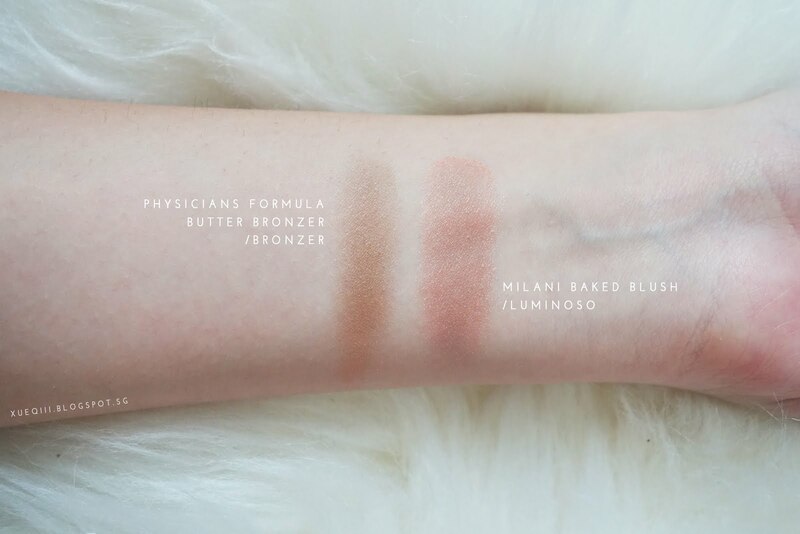 I love using this to blend out bronzers. It gives a flawless and even application. 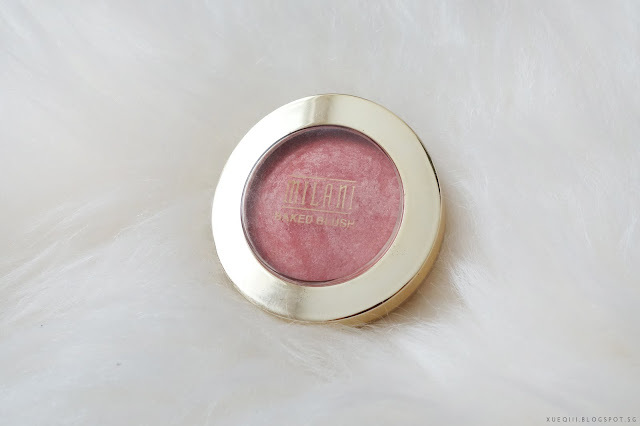 Milani Baked Blush in Luminoso is an old favourite but it has been forgotten for a long time and I can't seem to put this down recently. 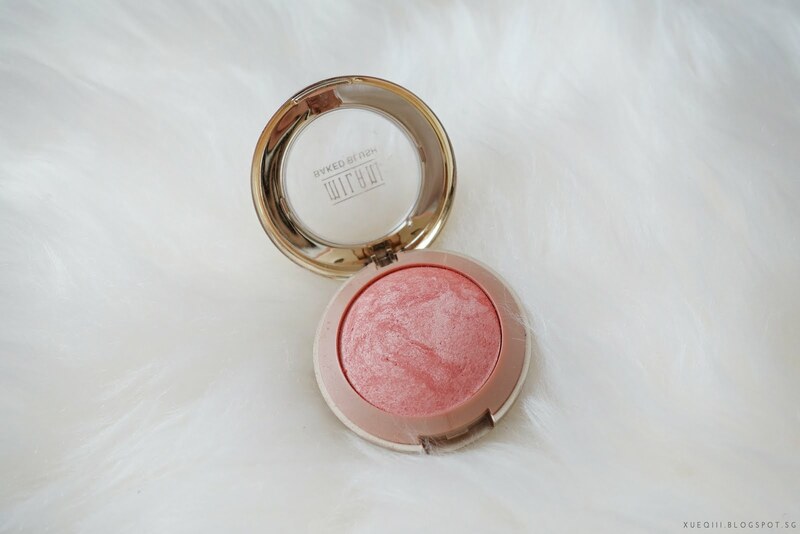 I brought this on my Korea trip and is the only blush I used. Very flattering peachy sheen on the cheeks. Love this! Violet Voss Holy Grail Eye Shadow Palette is the perfect warm toned palette and I have been using this non stop! 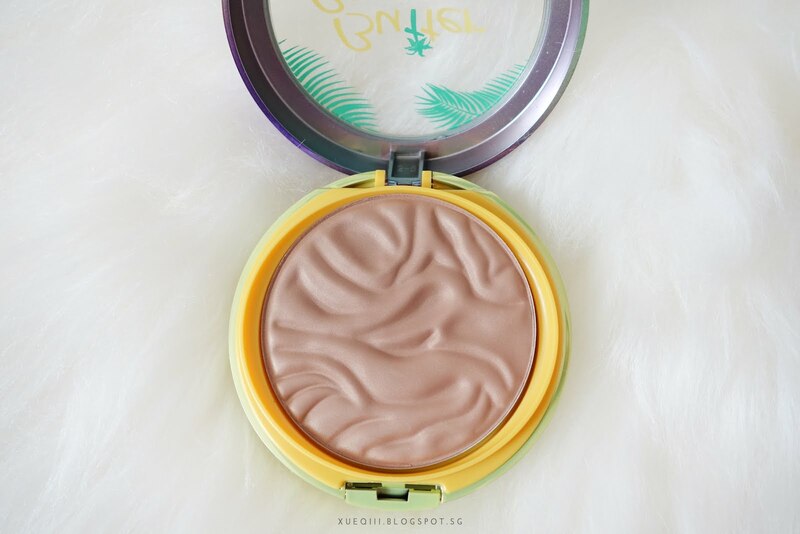 I also love the Tartelette in Bloom as well but this one has a lot more shade choices. I have done a in depth review on the Holy Grail palette on my blog here, check it out for more close up shots and swatches of each shade. 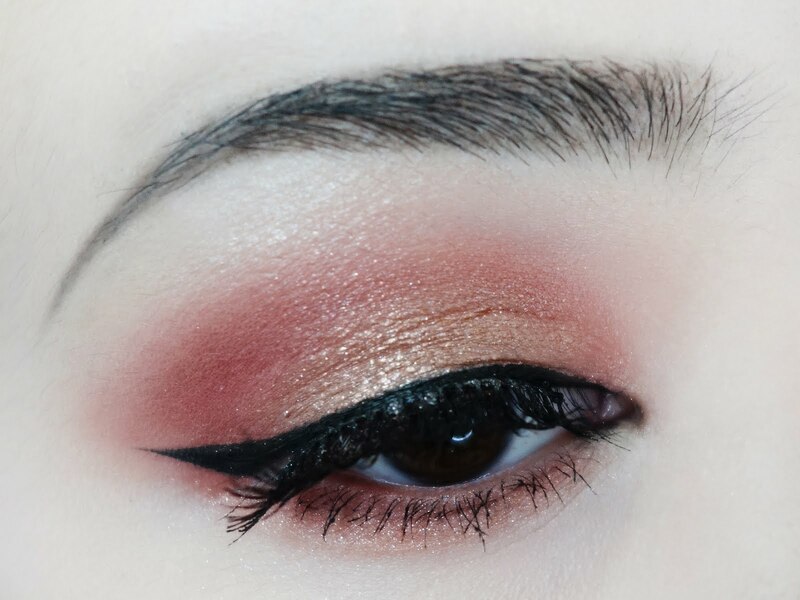 I did a simple eye look with it too. 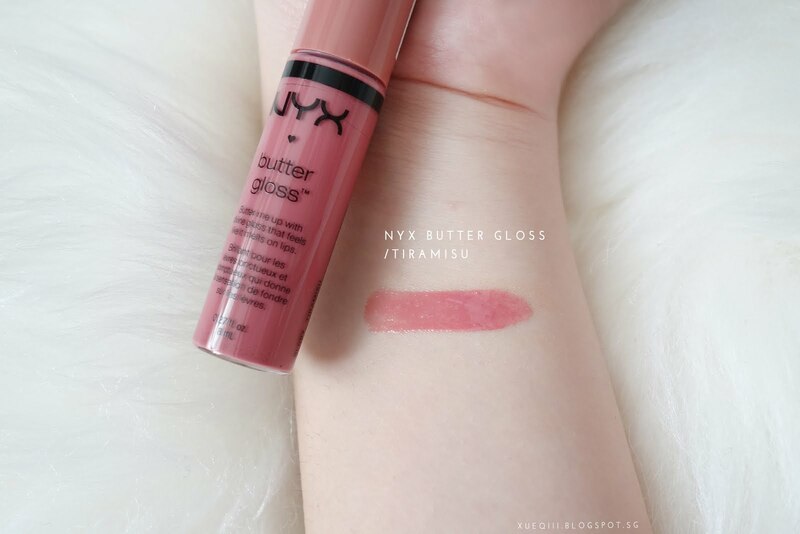 NYX Butter Gloss in Tiramisu is a highly pigmented gloss. You can either wear it on its own for a natural look or top it off on top of lip liners or lip sticks. I don't wear gloss much as it is so sticky and my hair gets all over my face, but this is really pretty so I wear this one days when I tie my hair up. So that's all my favourites for the past month. What are yours?